The crispy organic nut and coconut mix tops off your power-breakfast. Roasted whole hazelnuts and coconut chips help you kick-start your morning. Whole fruity cranberries boost your mood and provide you with an extra portion of energy. 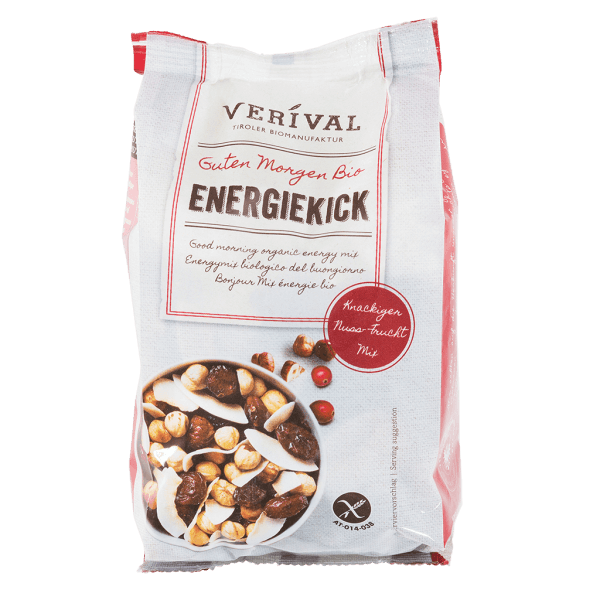 For a fresh start into the day, a performance boost or as a healthy snack on the go – with the nut-fruit mix you always have the right refreshment at hand. It tastes just as good in yogurt and with muesli as it does nibbled right out of the packaging and is a perfect addition for cakes and cookies. Cranberries* 50% (cranberries* 60%, cane sugar* 39%, sunflower oil*), roasted hazelnuts* 33%, toasted coconut chips* 17%.